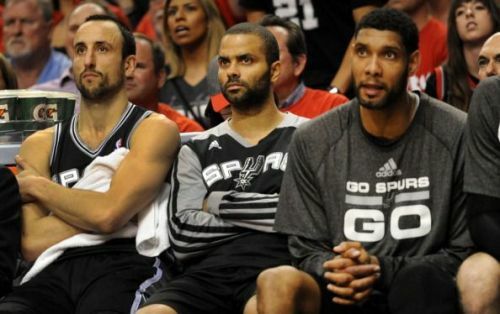 San Antonio Spurs' Big 3. The San Antonio Spurs is one of the best teams in the history of the NBA. The team started in the ABA as the Dallas Chaparrals in 1967 before moving to San Antonio in 1973 as the Spurs. In 1976, the Spurs joined the NBA and they were regularly in the playoffs. In 42 seasons in the NBA, the Spurs only missed the postseason four times winning the NBA championship in 1999, 2003, 2005, 2007, and 2014, all under the coaching of Gregg Popovich. A model franchise, the Spurs have also produced some of the greatest players ever including Tim Duncan and David Robinson. Here are the five players who made the cut and into the all-time starting five of the San Antonio Spurs. 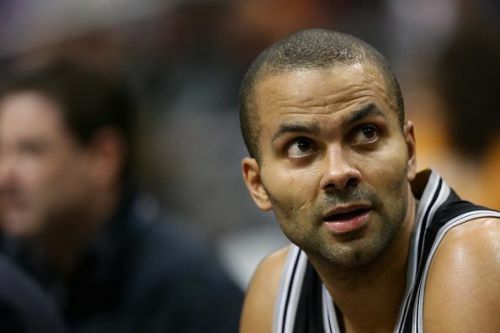 It is hard to believe that Tony Parker has been in the league for 18 seasons already, 17 of which was with the San Antonio Spurs. Parker vastly improved after rookie season into one of the best scoring point guards of his generation. He was vital in four championship-winning Spurs teams in 2003, 2005, 2007, and 2014. Parker is a six-time All-Star and a former NBA Finals MVP. He ranks fourth in scoring, first in assists, fifth in steals, and second in minutes played in the all-time leaderboard of the Spurs. Even though he left the Spurs to join the Charlotte Hornets in the summer of 2018, his No. 9 jersey will surely be retired in San Antonio. During his 16-year career, Avery Johnson had three stints with the Spurs. He signed with the Spurs in 1991 but waived later in the season. He re-signed with them in 1992, lasting for just one season before re-joining the Spurs in 1994. Johnson lasted seven seasons in his third stint with the Spurs, helping the team win its first-ever NBA championship in 1999.